INTEWO | World Habitat Society GmbH – Sustainable development – for a better future! Sustainable development – for a better future! Our world and the environment are changing rapidly. INTEWO is responding to the growing challenges, providing impetus and innovative solutions in the areas of tourism, environment and sustainable development. The team of INTEWO is assembled from geographers, cartographers, geologists, ecologists, tourism professionals, computer scientists, journalists and other keen thinkers. INTEWO is headquartered in Germany, with branch offices in Ethiopia and Oman. INTEWO is a leading think tank, providing innovative sustainable development. INTEWO products and services provide you with the freedom of quality and thoroughness, wherever you need it. A full list of clients, projects, memberships, services, etc. We at INTEWO believe that technology can contribute to better education and smarter tourism. Therefore we develop sawah© applications for environmental awareness programs and tourist information systems. sawah© offers reliable and up-to-date tourist information wherever and whenever you need it. You can access this information via iOS and Android applications on smartphones and tablet computer, including GPS and offline support. sawah© employs effective design-marketing, as well as providing environmentally friendly guidance for visitors. The system is fully up-to-date and utilizes the most advanced practice available in the field of sustainable tourism development. sawah© is suitable for all tourist destinations; it is especially useful for national parks, national monuments, biosphere reserves, nature parks and world heritage sites. sawah© is also appropriate and highly useful as a visitor-resource in museums, zoos, stage-managed destinations and on recreational and adventure trails. INTEWO projects have received international prestigious awards and grants. The Sooty Falcon Movie has been awarded as the best documentary movie at the Muscat International Film Festival in 2018. INTEWO has been awarded with the FORD Middle East Environmental Grant for the „Virtual Museum of Oman“ in 2011. World Habitat Society GmbH has been awarded as an exemplary start-up firm by the University of Paderborn, Germany, in 2008. The GPS-Adventure Park in the Nature Park Teutoburger Forest / Eggegebirge has benn awarded by the Government of North-Rhine Westphalia with the Cross-Media-Award in 2008. The GPS-Adventure Park in the Nature Park Teutoburger Forest / Eggegebirge has been awarded in 2009, 2011 and 2014 by UNESCO as an official project of the UN Decade Education for Sustainable Development 2004-2015 and has received the Cross-Media-Award by the Government of NRW. Geographical maps from INTEWO are top-of-the range. They include thematic maps (useful when hiking, biking, etc. ), detailed maps, overview maps, scientific maps and panorama maps. Our maps are produced in a plain, folded format, and are compatible with both digital and GPS-systems. INTEWO provides ready to press maps and we support printing on specialty papers. INTEWO also produce large-scale print-outs for sign-posting and marketing. Discovering the visible and hidden treasures in Oman has never been easier. 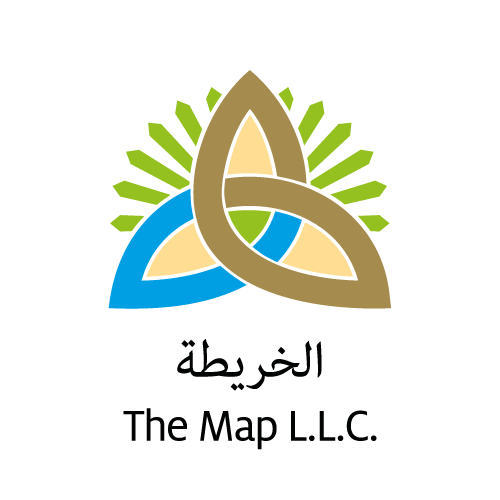 The map is officially approved by Oman’s National Survey Authority and has been developed in close cooperation with the Ministry of Tourism. The content of the map has been selected by some of Oman's most experienced tour guides and tourism professionals. Whether if you are on a guided tour or exploring individually - The Map is your reliable companion. Please do not hesitate to get in touch with us. We will answer your inquiry at the earliest. INTEWO is headquartered in Germany, with branch offices in Ethiopia and Oman.